BAA is in talks about a new TV series on life at Heathrow to help improve the airport's public image. 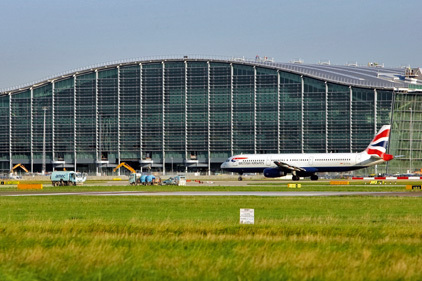 BAA is talking to North One Television and UKTV to produce a documentary series on how the airport has improved, as well as explaining how Heathrow operates. The move is part of a new comms strategy to be more proactive. Robertson hopes that a pilot will be broadcast next year and the company is in the early stages of consulting airlines and other businesses at the airport that would need to sign up if the programme was to go ahead. He says the programme will be ‘more sophisticated’ than Easy Jet's Airline programme, because it will talk more broadly about the daily operational challenges of running an airport. The programme will not focus on passengers expressing their frustrations to airlines, ‘that’s not interesting,’ he said. Instead, it will try to build understanding of the airport’s complexities and ‘the daily operational challenges of handling 650 arrivals and 650 departures off two runways’, he said. ‘We can also use the programme to better explain that customer service is improving but that every employee in every organisation must be focused on making every passenger's journey better than the last one,’ he said. It will also try to bring out the emotional aspects of travel – people leaving or reuniting with loved ones, for example. ‘We want to capture the drama and emotion that happen on a daily basis at the airport,’ he says. Meanwhile in the next couple of weeks he is expecting to draw up a shortlist currently drawing up a shortlist for the £400,000 corporate and public affairs account. He received 34 expressions of interest from agencies. A shortlist is expected in the next two weeks.